Tour 2: Kestrel Canyon - De website van moganverde! 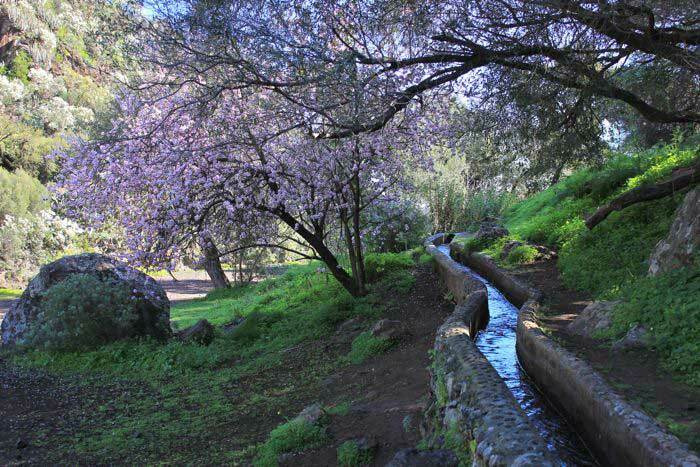 This tour takes you to the green countryside of Gran Canaria where endemic willows form a dense gallery forest along a small creek that flows down the valley all year long. 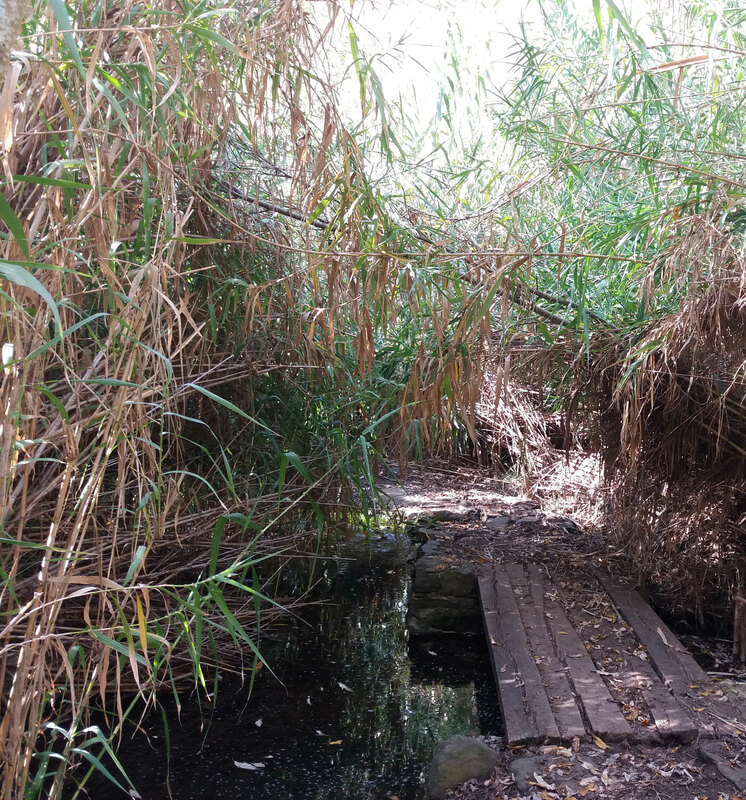 After rainfall, the reed and lush vegetation, turn the area into a jungle. 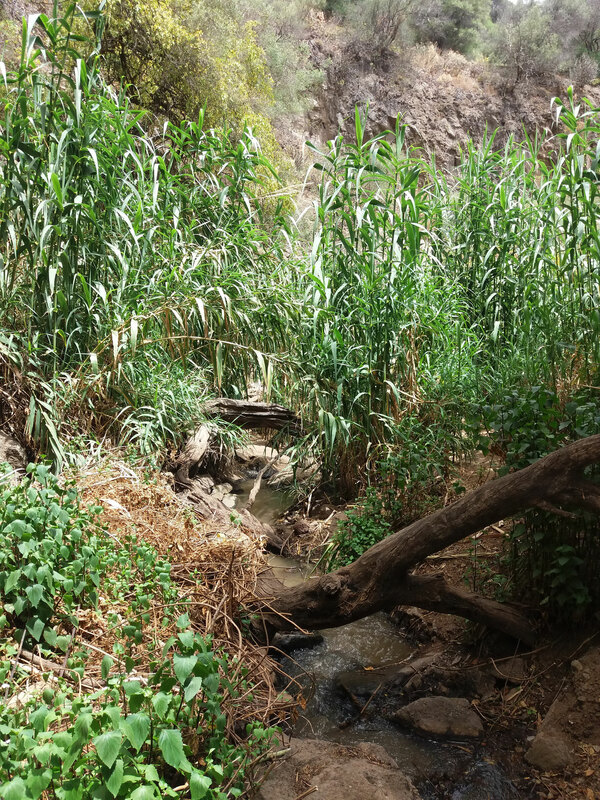 The ravine is part of the nature reserve called La Caldera los Marteles. 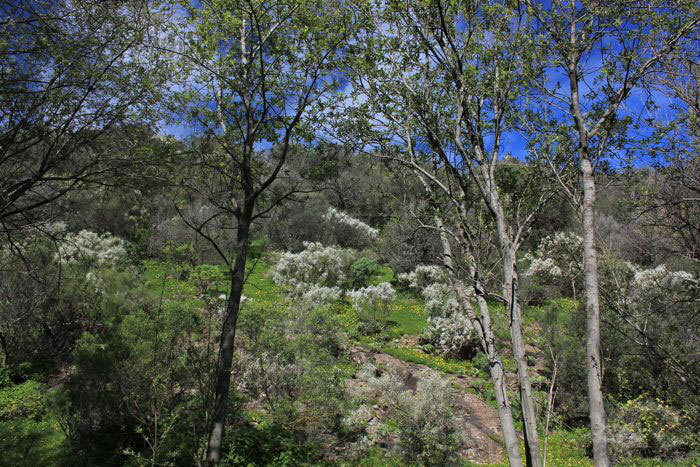 The Kestrel Canyon has been protected because of its many geomorphological features, rare plants, its gallery forest and its "acebuchal": one of the last forests of wild olive trees. 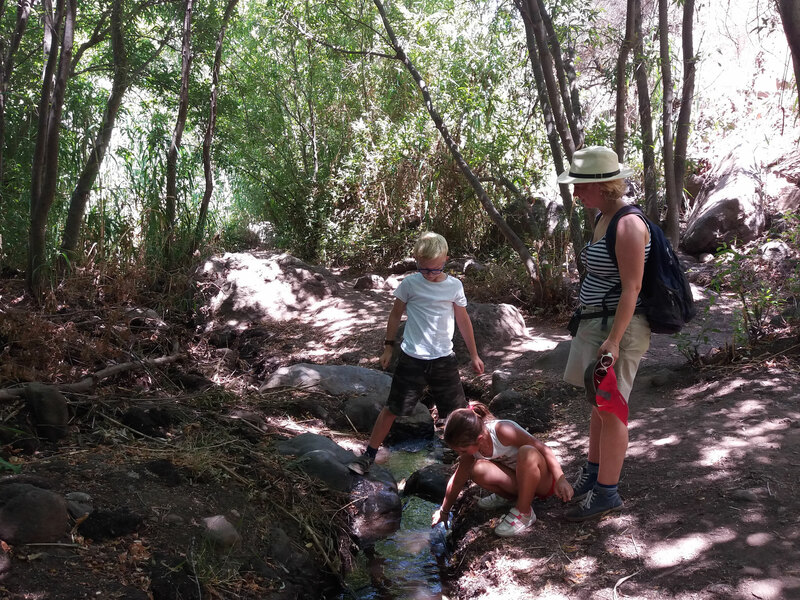 This hike is ideal for families with children! * level: easy. 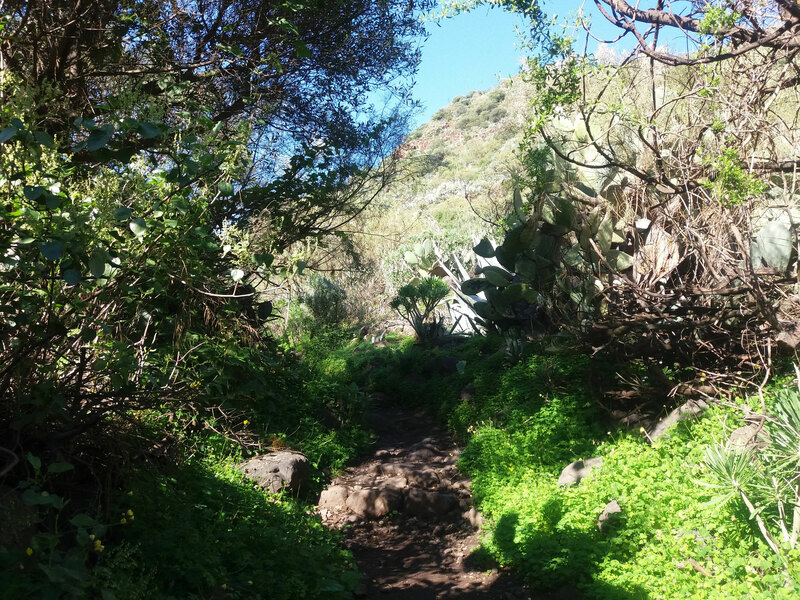 There are only a few slightly steeper sections that might be slippery after rainfall. 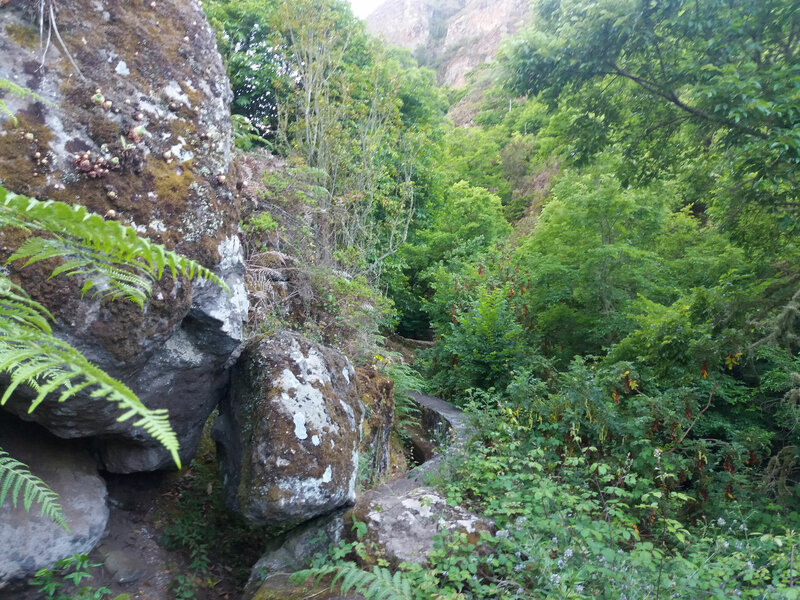 This easy hike can be turned into a mid-level high by starting at the upper part of the ravine. In that case, it´s a 12km hike with an altitude difference of 400m. Included in the price: transport from the South, driver, licensed guide (you have two staff members at your service), insurances, picnics, water and hiking poles.